Keep up the pace ! For Run Flat, low profile tyres, delicate rims ... and all other passenger car, motorcycle and van wheels, as from 10'' to 23'' rim diameter (to 26'' with +3” claws). The Pro-fit is equipped with a swivel arm of unmatched rigidity that keeps the mounting head away from the rim at all times. The multi-purpose Run Flat arm allows the dismounting spacer to be placed. 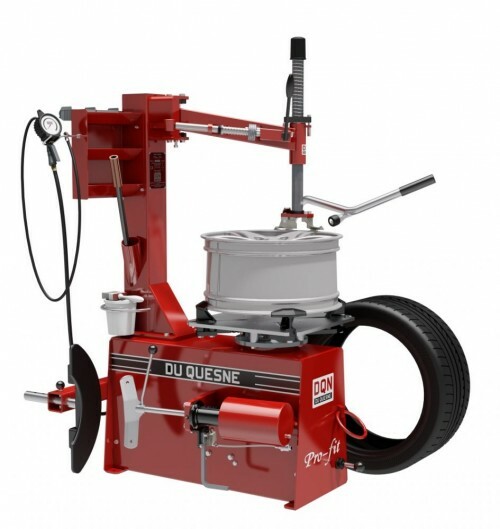 It is superbly efficient when used together with the trident for the mounting of all types of low profile and Run Flat tyres.